If my outfit was Destiny's Child, this Chanel purse would be the Beyonce of the whole thing! I mean, Chanel?! Enough Said right? 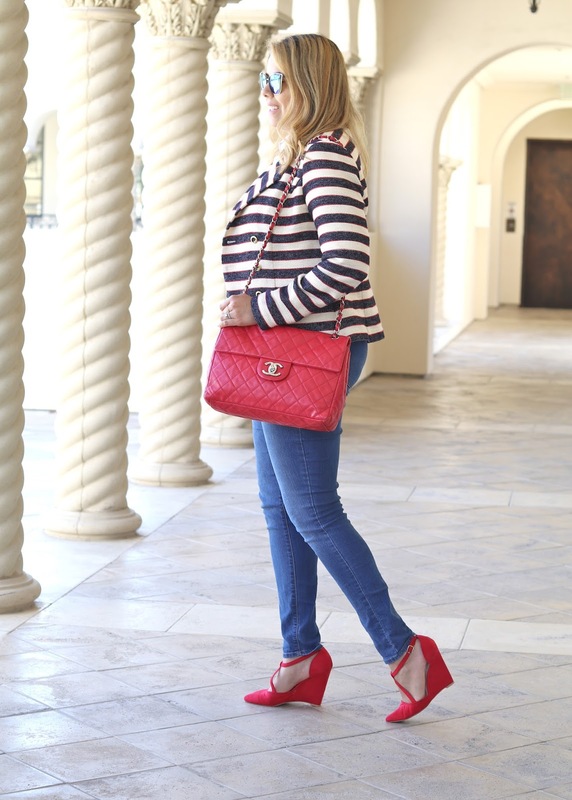 The arrival of this purse has prompted me to think up of so many outfits revolving around this red beauty, most of which you'll see trickle into the blog, but for now I'll start with a casual-esque outfit. 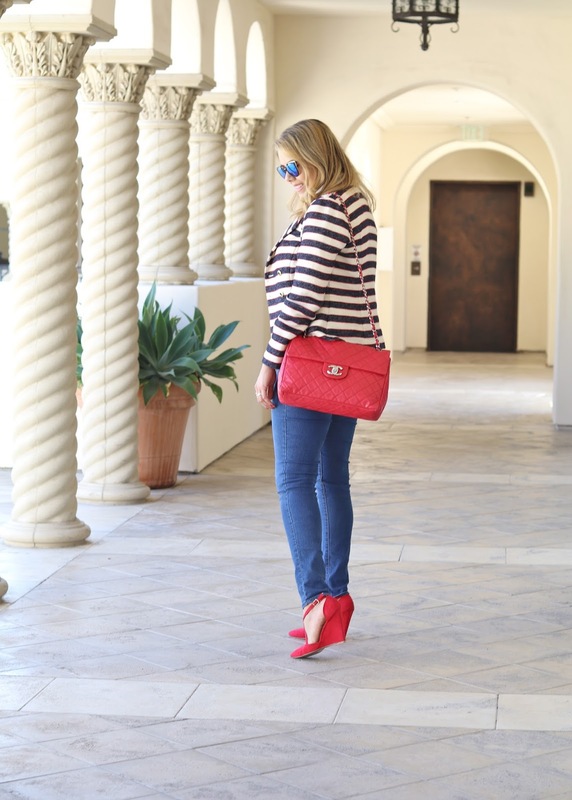 I layered one of my favorite pieces from Cabi's Spring 2016 collection, the "Cruise Jacket" since it has a hint of red (previously seen here styled with a dress). 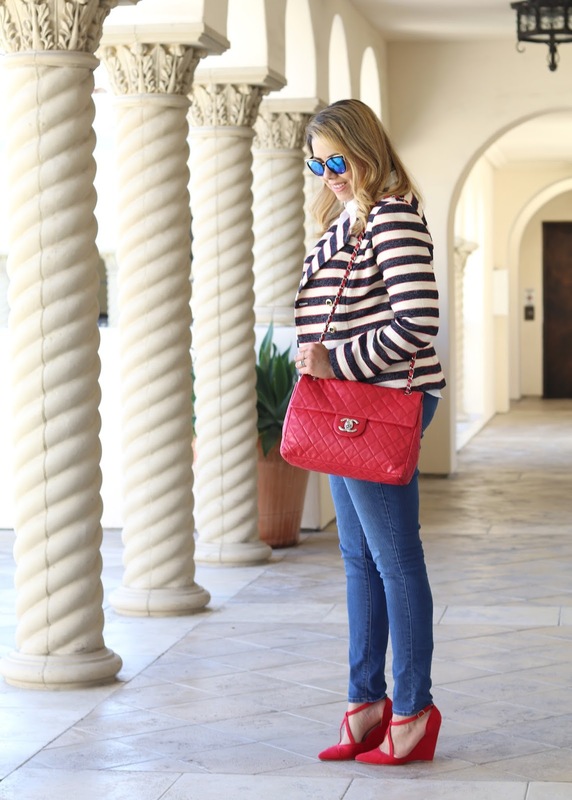 Loving everything about this look, stripes, great jeans and a classic Chanel Bag. Love it! THE BAG a.k.a. Beyonce...I'm truly in love. Love the blazer paired with that fabulous bag. Show stopper indeed. Wow! Amazing outfit and photos! I am SO in love with this whole look! 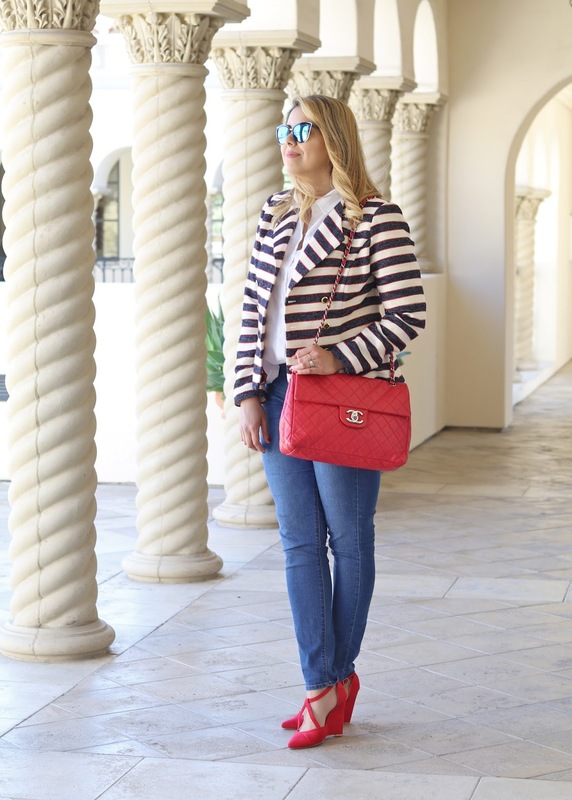 The blazer is such a perfect compliment to the Chanel bag!